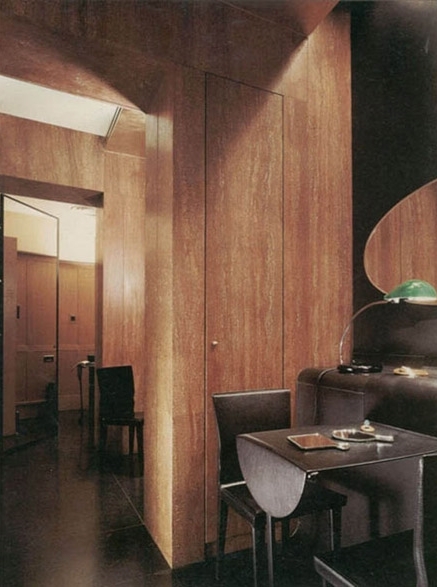 Bold, fluid, and often minimalistic, contemporary design fuses different styles to create a new, wholly unique look. 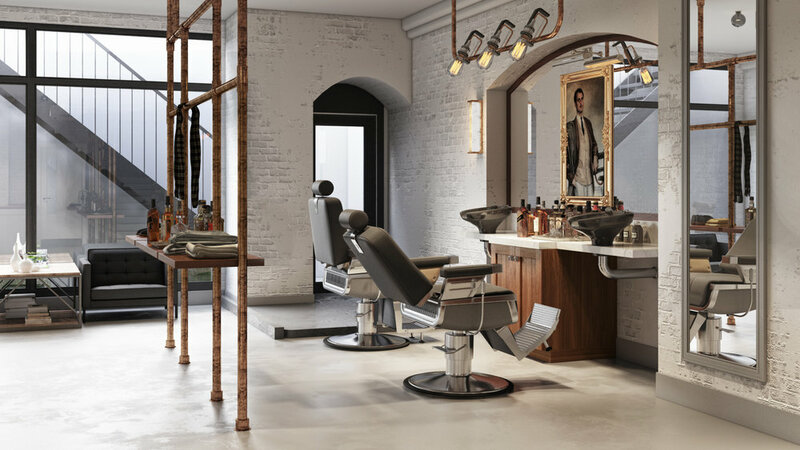 This barbershop, located in the heart of London, was inspired by Great Britain's industrial age. 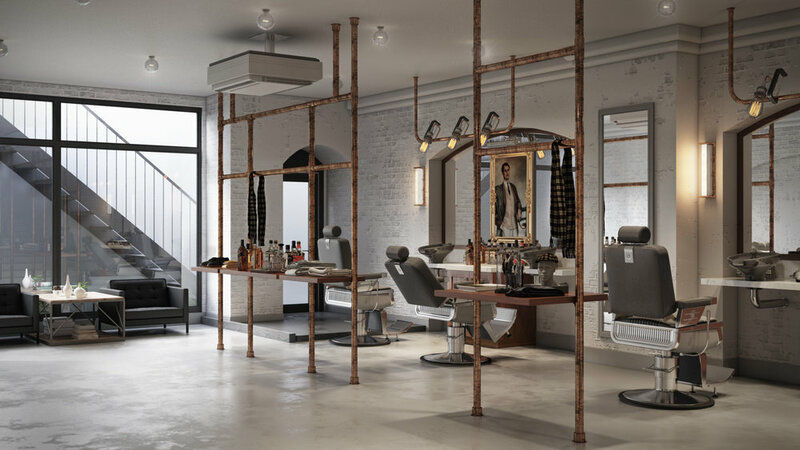 The juxtaposition of raw materials, such as copper plumbing piping, along with Dandy paintings creates an inviting ambiance. 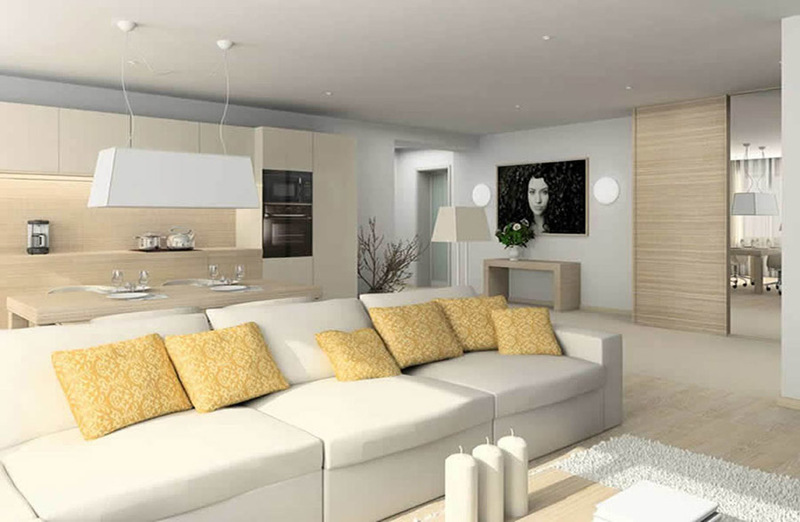 Contemporary lines, for a casual and yet sophisticated sea side interior. The use of crispy blues and linens blends so naturally with the blue Floridian skies. 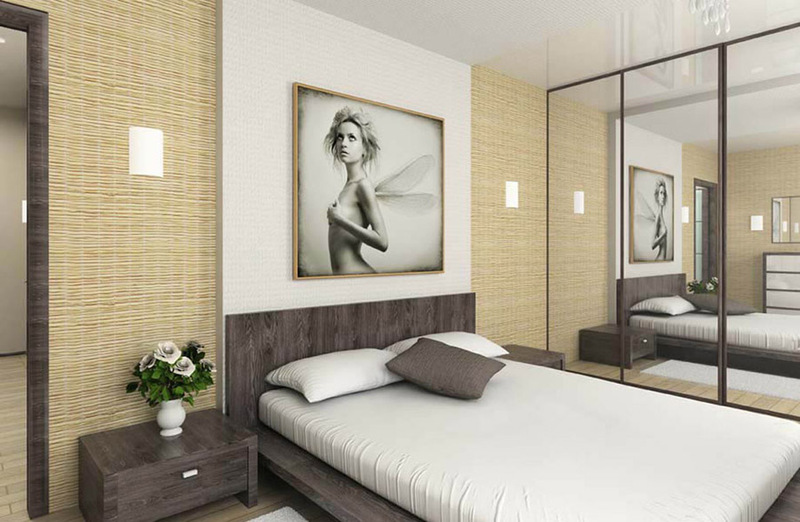 The Biltmore Parc project in Miami, Florida is Contemporary in nature with a subtle reflection of the local Mediterranean Vernacular. 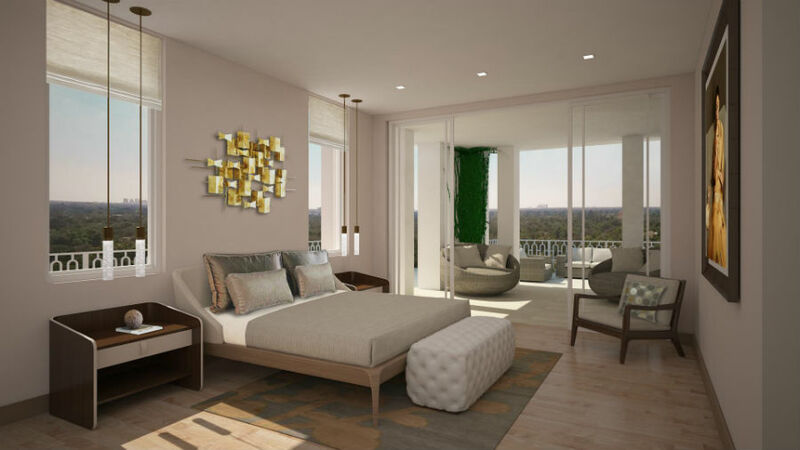 Interior and exterior blend together—creating a seamless, luxurious urban space—in these renderings designed to model the amenities of the new Biltmore Parc condominium development in Coral Gables. 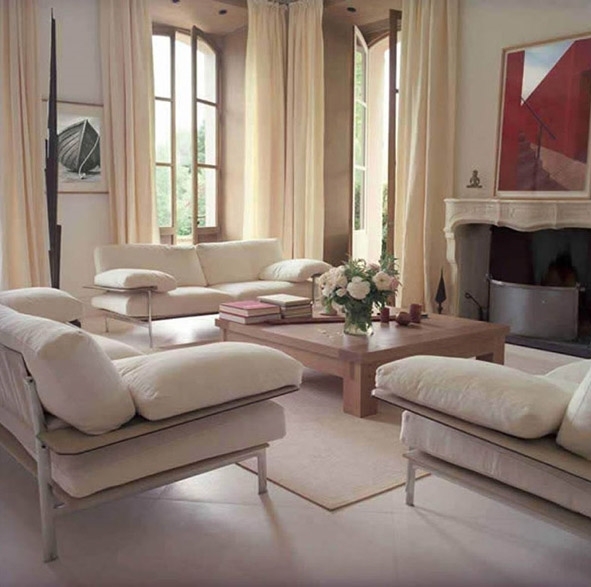 Neutral colors and clean lines offer a sophisticated interpretation of the Mediterranean revival style for which the city is famous. 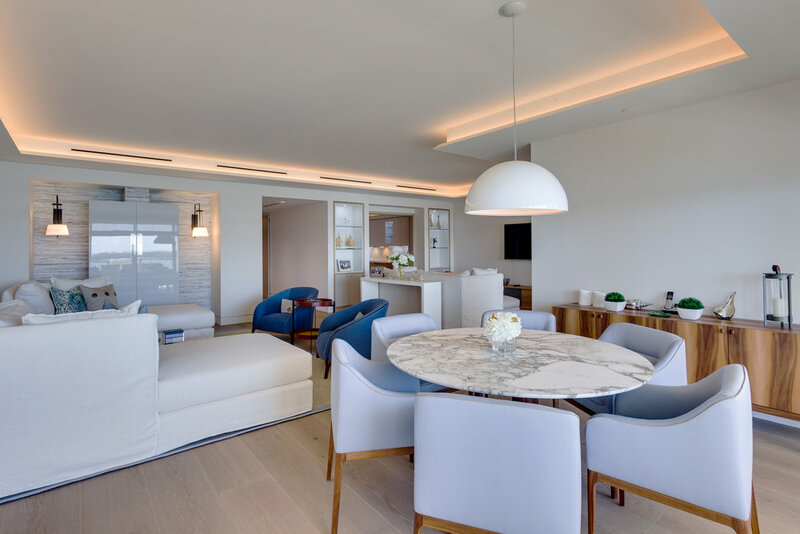 French limestone helps create the illusion of open space in these luxury apartments subdivided from what was once a single, large demeure. The space maintains traditional French architectural elements, pairing them with contemporary furnishings for a classic, elegant atmosphere. 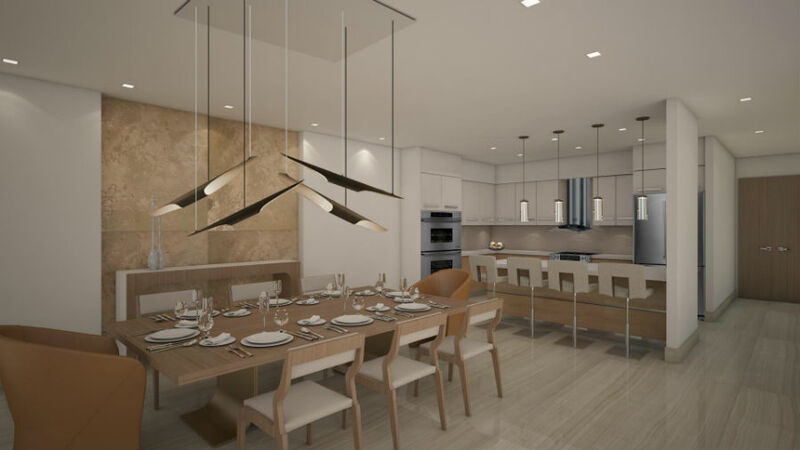 Modern furniture, natural stained woods, luxurious textured fabrics, and well balanced open spaces in this high-end contemporary private residence create an inviting multifunctional atmosphere. Though contemporary in design, the space draws dynamic warmth from the contrasting scales and the balance of light and dark. 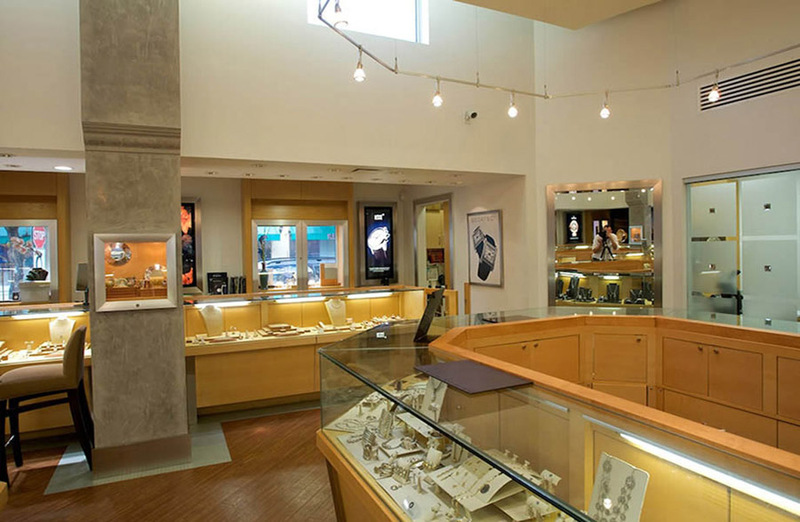 This small gem of a shop—with its black granite floors and red travertine-clad walls—was designed with two intimate sales areas and small vitrines for the owner’s unique jewelry designs. 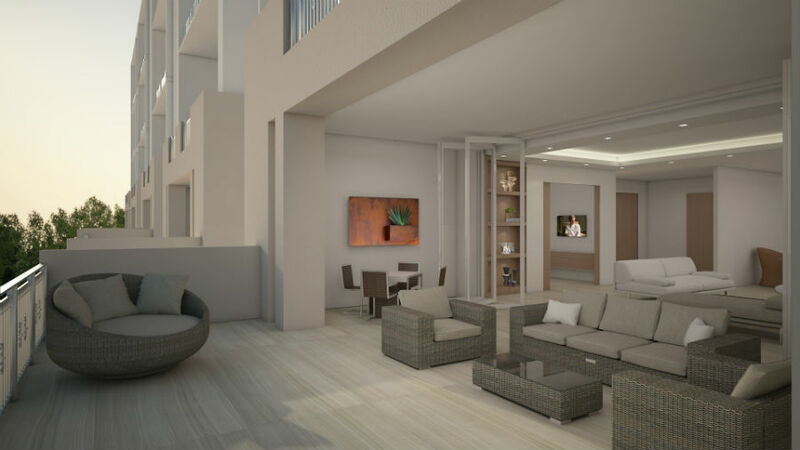 The interior design concept for this new condominium development in Miami uses light materials, natural finishes, and reflective surfaces to create a sense of airiness and comfort within the constraints of limited urban space. The airy palette of this F45 Vantage superyacht complements the colors of ocean, sky, and sand visible through the main cabin’s unobstructed windows. 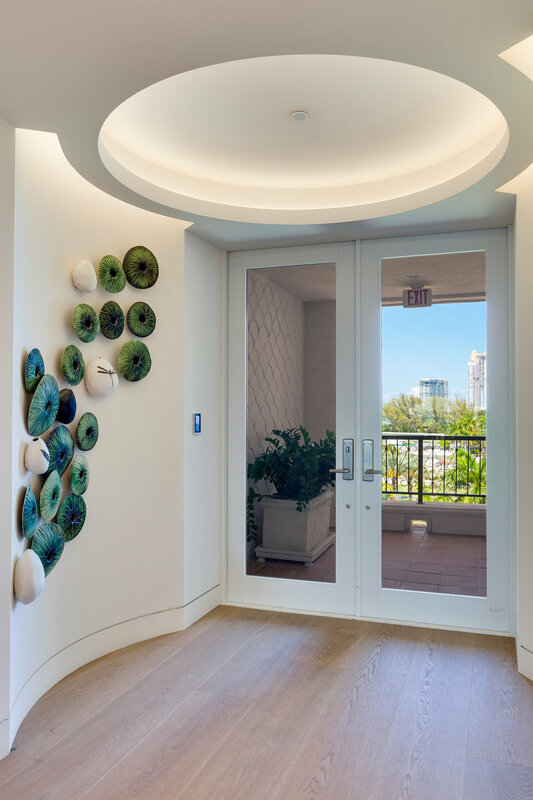 Plush, luxurious materials invite guests to relax on the open seas, and custom-built glass cabinetry showcase the owner’s collection of art pieces sourced from around the world. 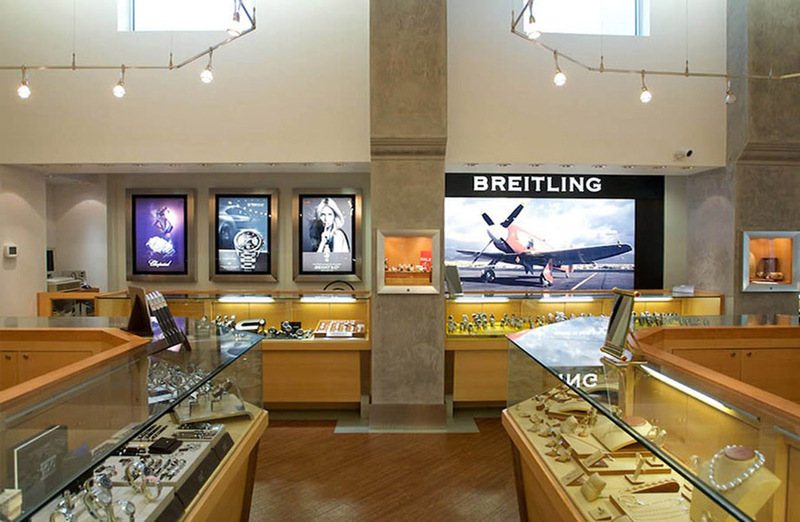 This historic landmark in the heart of Coconut Grove was transformed into a luxury jewelry boutique. What makes this an indulging boutique is the dynamic dialogue between the classical façade and the fresh contemporary interior. 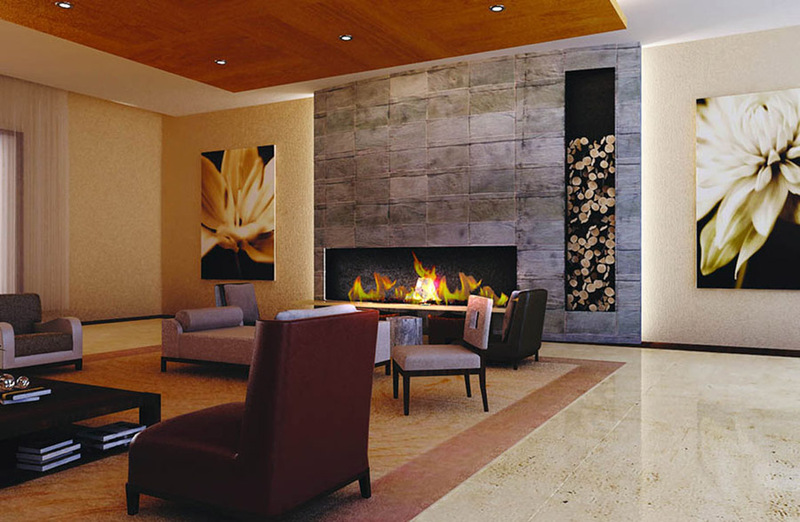 Composed ambiance, simplicity and kind lighting draw the brilliance of the gems. 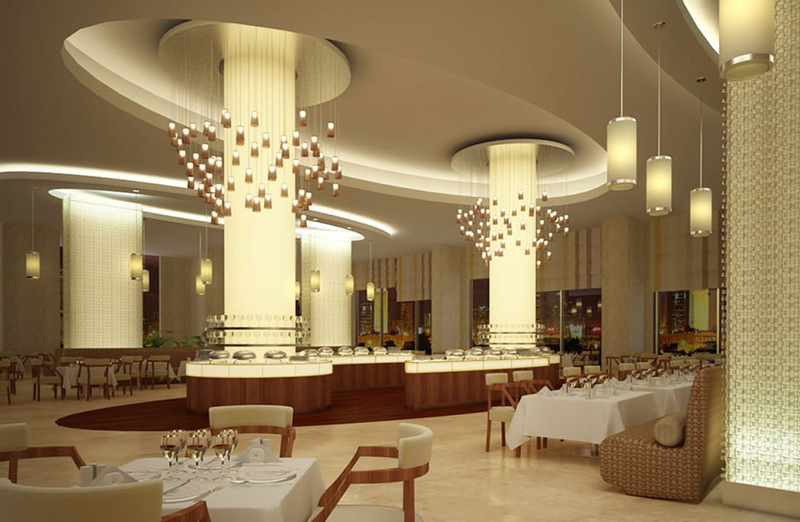 The main dining room and all-day restaurant at this privately-owned hotel in Qatar reflect the owner’s desire for a luxurious modern Italian style. 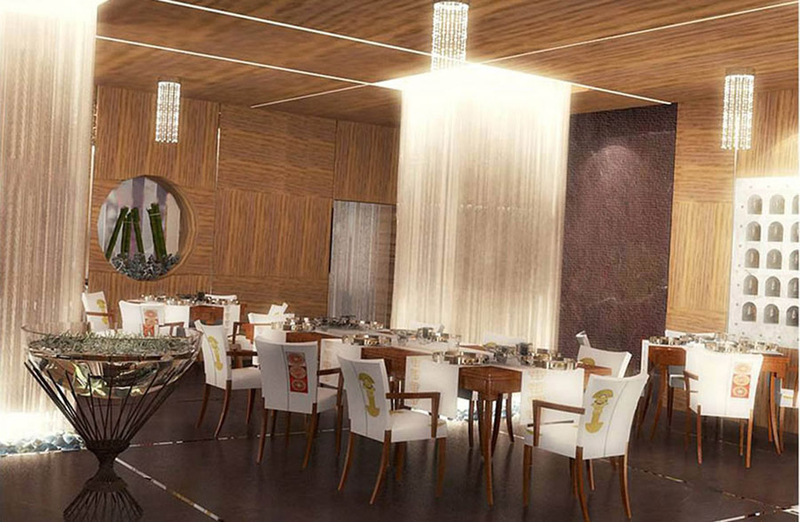 Dramatic complexions provide the perfect setting for both a casual and an intimate dining experience. This banquet hall takes inspiration from the glamorous splendor of the 1930s, but exercises great restraint with a warm palette of beiges and earth tones. Plexiglass and mirrors atop the space’s majestic columns create the illusion waterfalls, and carefully considered indirect lighting works alongside rich mahogany furnishings to create a welcoming mood. uxurious yet easily comfortable, this superyacht is designed to showcase panoramic views of the surrounding ocean. 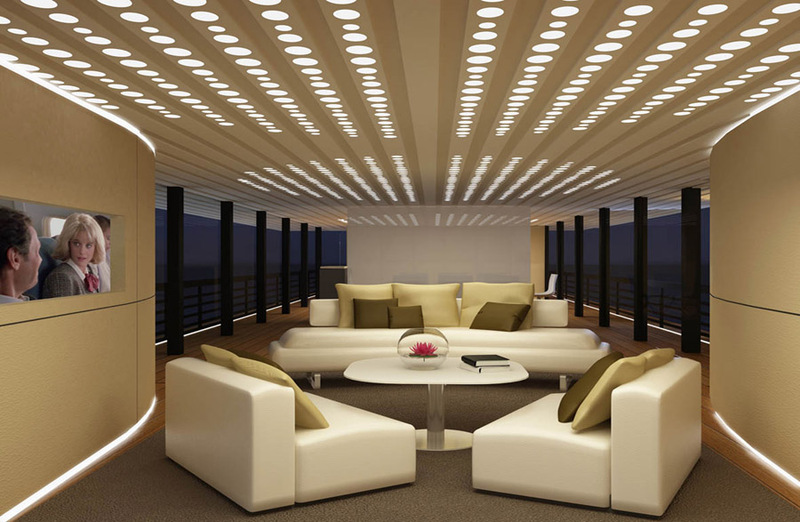 With creams, taupes, greys, and light wood materials, and an innovative lighting system that smartly transitions the comfortable ambiance from daytime to evening, this yacht’s open floor plan makes for the perfect entertainment venue. Dark and warm, this pasta bistro in Miami encourages guests to feel cozy and merry among friends. Known for its classic elegance, sophistication, and grace, traditional design seduces with its warmth of fine arts and woods. Mix contemporary lines with traditional features for a transitional design—a medley, a harmony of the classic and the clean. All content © Avanzato, Inc. All rights reserved.